Unfortunately, my running suffered a major setback after the Century Tuna Run when I got hit by a spate of injuries. I had to take a leave from running for a couple of months. 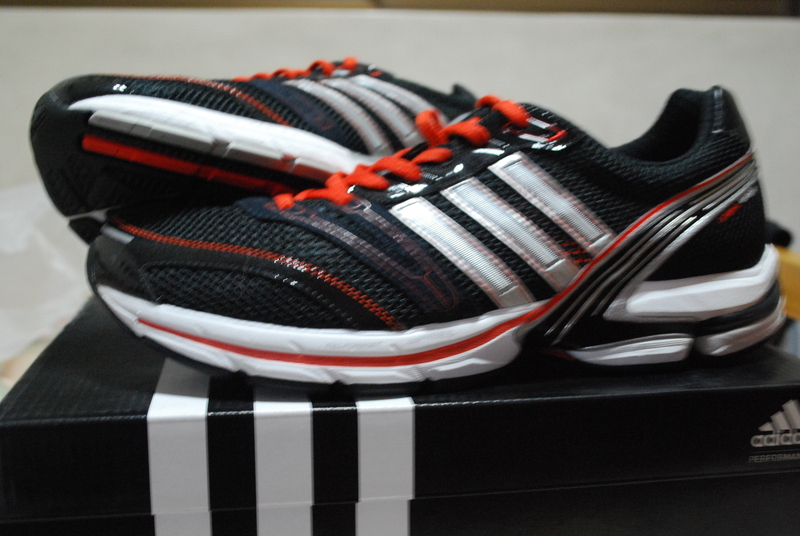 In June, I started training again for the 10k event of the Takbo.ph Runfest scheduled on July 25. However, things were just not the same. I found myself wanting in fitness and motivation. 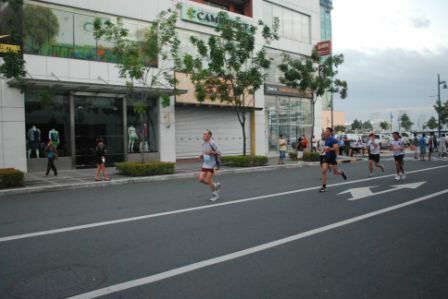 In fact, as disclosed in a previous article, I almost did not race the Takbo.ph Runfest. As it turned out, it’s a good thing I raced it. 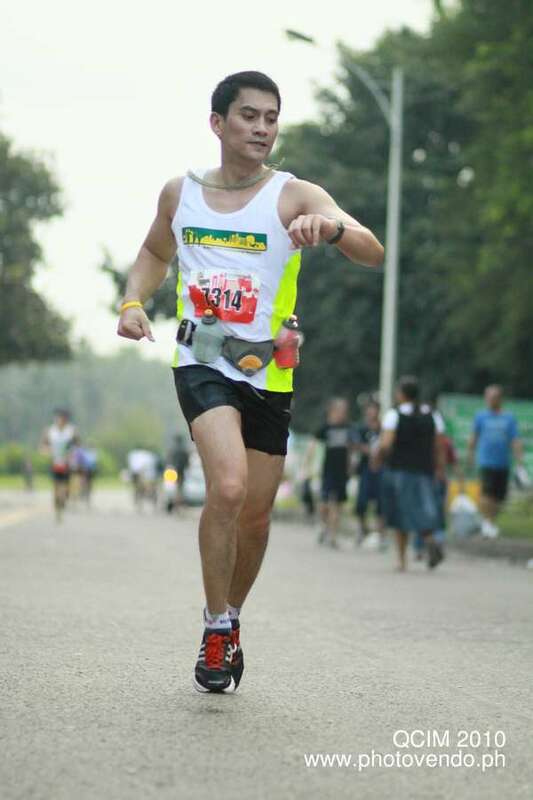 The Takbo.ph Runfest woke up the competitor in me and I started craving for more challenges. I decided that it was time for me to move up to the next race distance – the half-marathon. After all, were it not for my injuries, I would have run my first half-mary at the Nature Valley Run back in May. The obvious choice for my half-mary debut was the 2010 KOTR on October 24, which is my anniversary race. It also helped that it was more than 10 weeks away, thus affording me plenty of time to get back into shape. Well, as they say, “it’s the Indian and not the pana.” But there’s also the saying that goes, “if you can’t play, then just display.” Was my subconscious telling me to just display? Maybe. But I was determined to grind out a good result. My preparations for the 2010 KOTR was pretty decent. A few missed training runs here and there, but, on the whole, it was decent. However, as I reviewed my running log for the year, it dawned on me that my fitness was not yet back to my pre-Century Tuna Run levels. 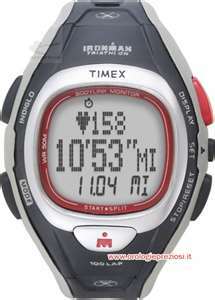 For one, I logged more kilometers on a weekly basis during my 10k training than my half-mary training. Also, there were workouts that I could no longer complete; workouts that I used to do on a regular basis. Hence, I knew that I had to scale back on my expectations for my first half-mary. 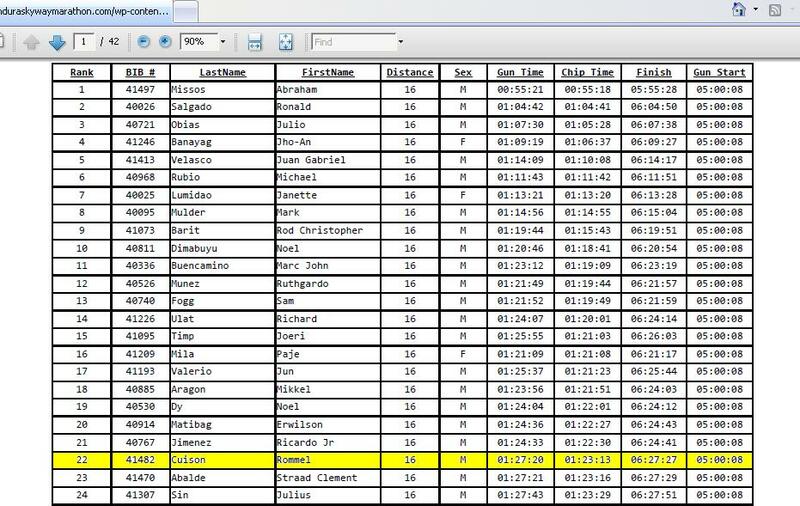 I added 15 seconds to my program-dictated target race pace. Come race day, I woke up at 3:30 a.m. and had a bowl of oatmeal. I think I also had a Granola Bar. This was my usual pre-race fare. For some reason, it did not occur to me that unlike before, I would be running for almost two hours. Obviously, a bowl of oatmeal and a granola bar would not be enough to see me through. And this was exactly what happened. 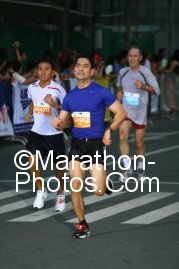 At kilometer 16, I was still 45 seconds ahead of my target time based on a race pace of 5:15 mpk. Then, all of a sudden, I just lost it. It’s just as if my body didn’t want to run anymore. So I stopped. And walked. My first time ever to walk in a race. A quick glance at my watch showed that my heartrate was in the low 170’s, which to me should have been comfortable enough. I couldn’t understand what had just happened and just decided to walk a substantial portion of the last 4k. It was only when I realized that I was at risk of not breaking two hours that I started running again. And that was in the last 400 meters or so. My time was 1:58:32. I couldn’t believe that I was almost 10 minutes off my target time. 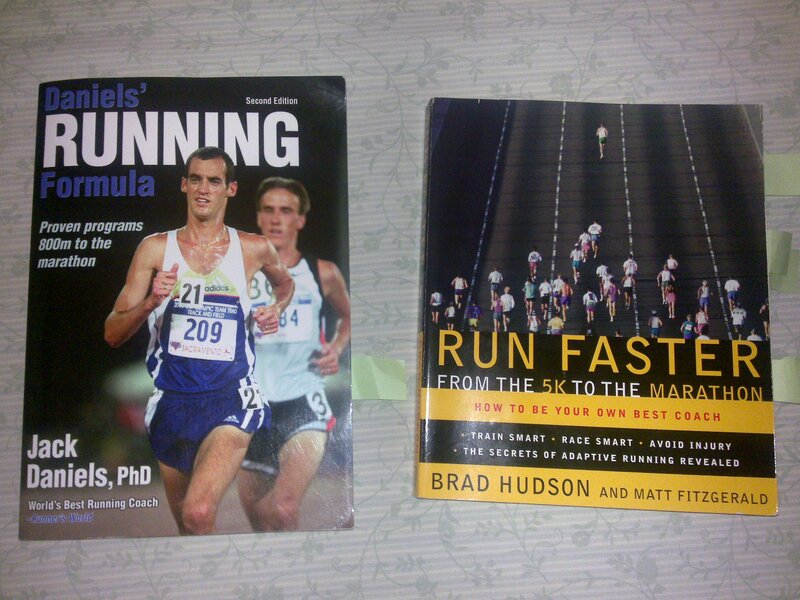 Post-race analysis by my running brothers pointed to glycogen depletion as the culprit. The oatmeal and granola bar simply were not enough. I should have taken something during the race itself. I knew that I had to redeem myself soonest. 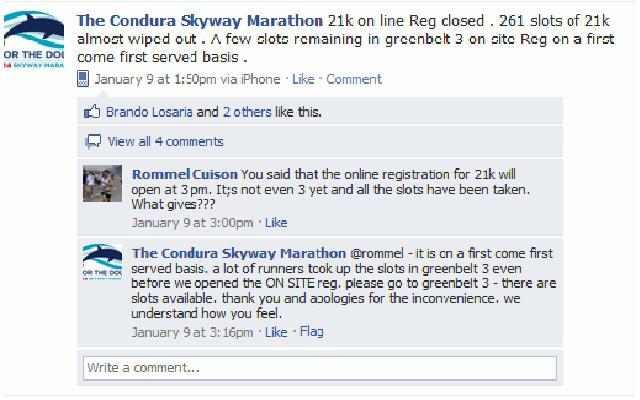 Just my luck, there was another half-marathon on December 5, the 2nd QCIM. I had 5 additional weeks to train. And this time, I wanted it to count. In fact, I purchased a hydration belt and a number of Hammer Gels, which I planned on experimenting with during my training. I must say that I was more serious with my race preparations this time around. I stuck to my program and nailed all my workouts. 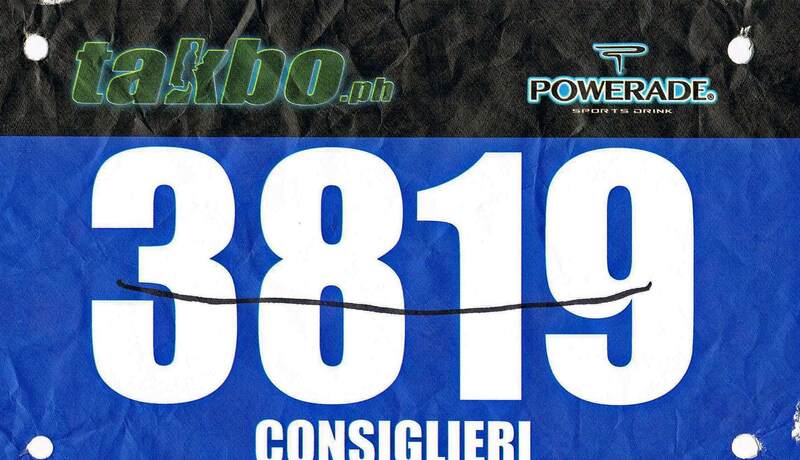 In fact, a week before the race, I ran an easy 18k at 5:30 mpk. At that EASY pace, I would have beaten my KOTR half-mary time by a couple of minutes. My confidence was running high once again. Saturday was spent hydrating and praying that not much damage was done the night before. I actually felt great on race day. I wasn’t able to warm-up as I wanted to get a good position at the starting line. 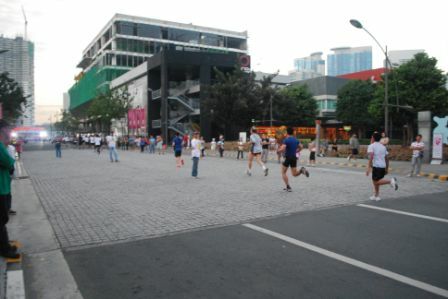 For some strange reason, the 21k runners had to squeeze through what appeared to be a 5-meter starting area when we had the entire expanse of Philcoa at our service. Thus, the funnel that the runners had to go through forced us to practically walk for the first 60 meters or so. This time around, I wanted to take it easy for the first few kilometers. I probably had my KOTR debacle at the back of my mind but I was more concerned about the fact that I wasn’t able to warm-up properly. OK, maybe all that alcohol that I consumed two nights prior was nagging at me as well. 200 meters into the run, I saw a familiar face. 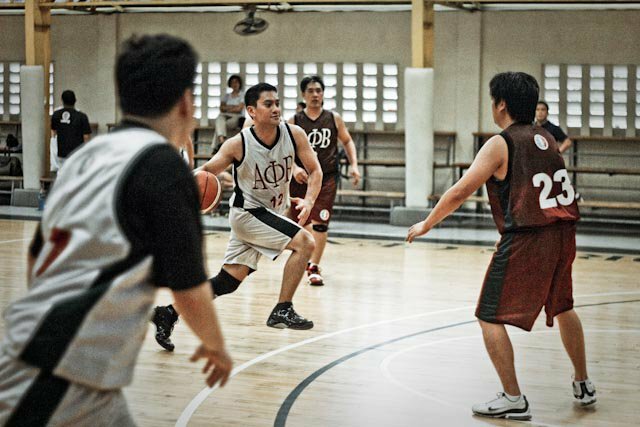 He was a regular at the Marikina Sports Center and I knew for a fact that he beat me by a couple of minutes in the 2010 KOTR. I figured that he could make for a good pacer for the first few kilometers. But as the minutes passed, I knew that there was something wrong. We were going too slow. I soon heard a beep from my watch and a quick glance confirmed my fears. My watch had my first kilometer at 6:03. Even my warm-up runs were faster than that. I kinda panicked and quickened my pace a bit, but not too fast as in my mind, I was still warming up. My 2nd kilometer was 5:32. I was ready to hit my target pace, which I did in the succeeding kilometers. With a PR out of the question, my immediate goal was to finish the longest run of my life without walking. And this, I was able to do. I clocked in at 2:10:09 for a total of 23.411 km. As my immediate goal was to simply finish the race without walking, I didn’t really push myself. And it showed in my heartrate data. My average heartrate was only 166, way lower than my KOTR heartrate of 172 which involved a lot of walking. Prior to the QCIM, I told myself that whatever happened, I would go back to racing 10k’s. Whom was I kidding? MUST. HAVE. MY. SUB. 1:50. HALF-MARATHON. I feel like a man possessed who needs some serious exorcising. 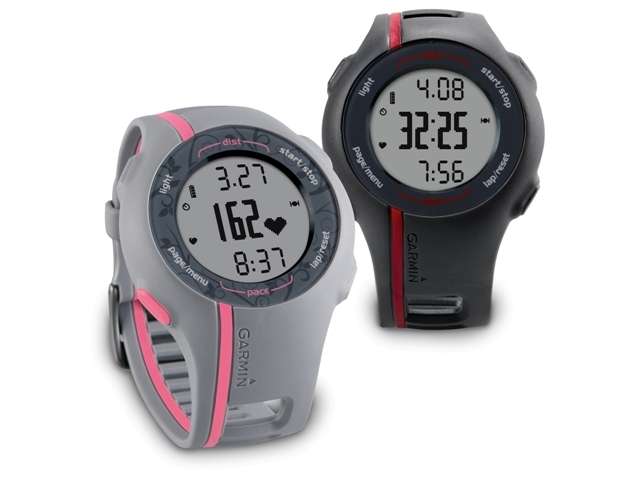 No more Runners’ World SmartCoach for me. My demons require expert attention so I enlisted the help of my two revered friends – Jack and Brad. Coach Rio, please, please, please, post your race calendar for 2011 already. MUST. HAVE. MY. SUB. 1:50. HALF-MARATHON. It’s been a little over a year since I started joining road races in October 2009. I have run 8 races so far, beginning with the 5k event of the 2009 Adidas KOTR. I just realized that there is a pattern to my racing – I would race a certain distance thrice before moving on to the next race distance. This, however, was not a conscious effort on my part. My goal really is to perform well at a certain race distance before moving on to the next. For me, a decent performance would entail a pace of 5mpk or better. My first 5k wasn’t really a 5k; it was a whopping 6.4km. You can just imagine what damage an extra 1.4km can do to an eager-beaver greenhorn running his very first 5k. It was a complete disaster. 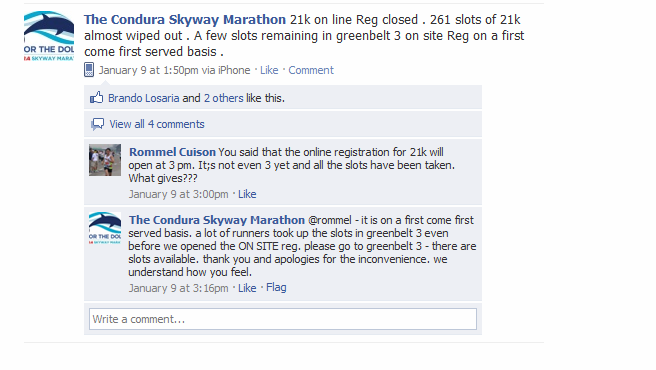 It wasn’t so much the fact that I had my first 2k splits at 4:17 and 4:24, respectively (rookie mistake). It was the chilling realization midway into the race that the course was changed, thus making it a lot longer than the 4.7k indicated in the race maps (yes, the original race course was short), that simply broke my resolve. I do not recall my time anymore and I tried searching for the 5k results online but for some sinister reason there’s no record of the the 5k results ANYWHERE. However, I was pretty sure that I was unable to run it below 5mpk – with the extra 1.4km and all. 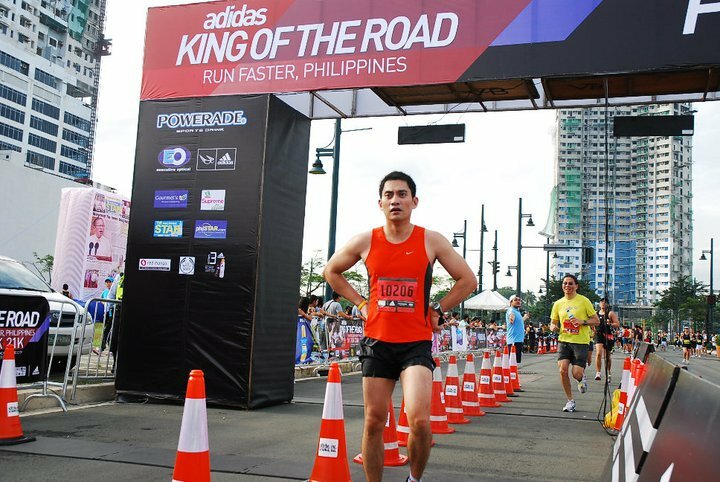 Thus, after my debut road race at the 2009 Adidas KOTR, I ran two other 5k races – Timex Run in November 2009 and the Philstar Celebrity Run in December 2010. 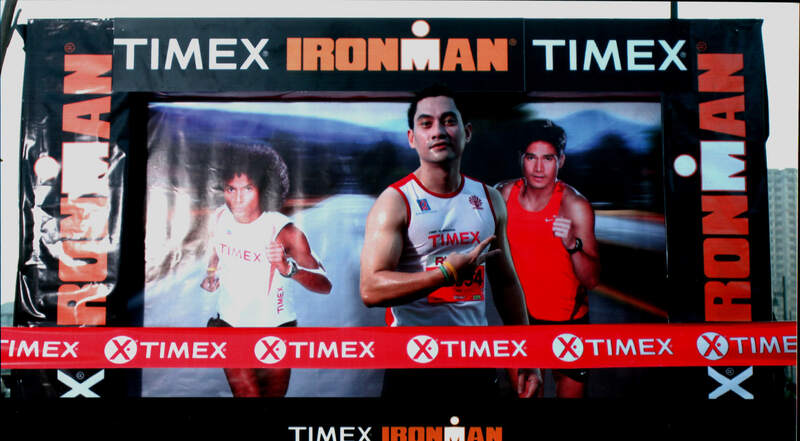 I set a PR of 22:40 at the Timex Run (see related article) and would have run the 10k event of the Philstar Celebrity Run had my brah, who was in town for the holidays, agreed to race the 10k with me (I think he just wanted to make sure he would cream me at his preferred distance Hehe). 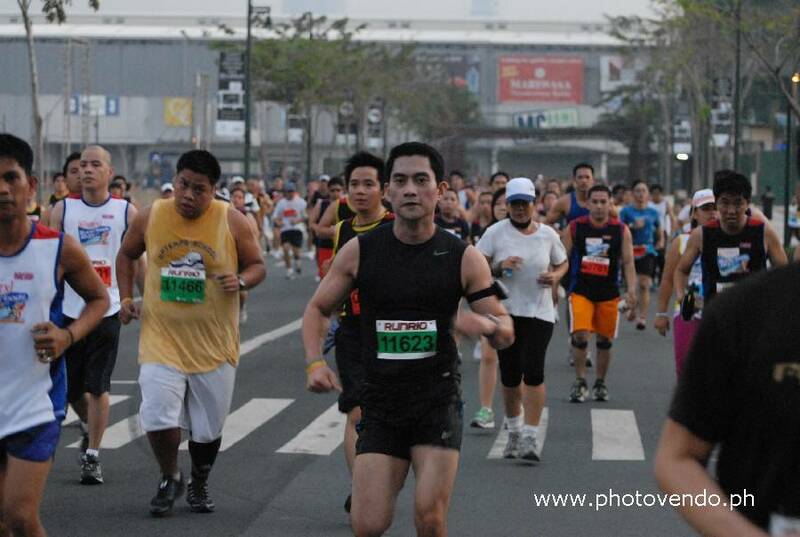 At any rate, I still had a decent result at the Philstar Celebrity Run so I knew it was time to move on to 10k. I have to admit that, to date, nothing comes close to the dedication and hard work that I put into my 10k training. I almost never missed a workout. Whenever I had to go out of town for a hearing, I made sure that the hotel where I would be staying had a gym or even just a simple treadmill. I also followed my training program to the letter – no cutting corners, no slacking off. 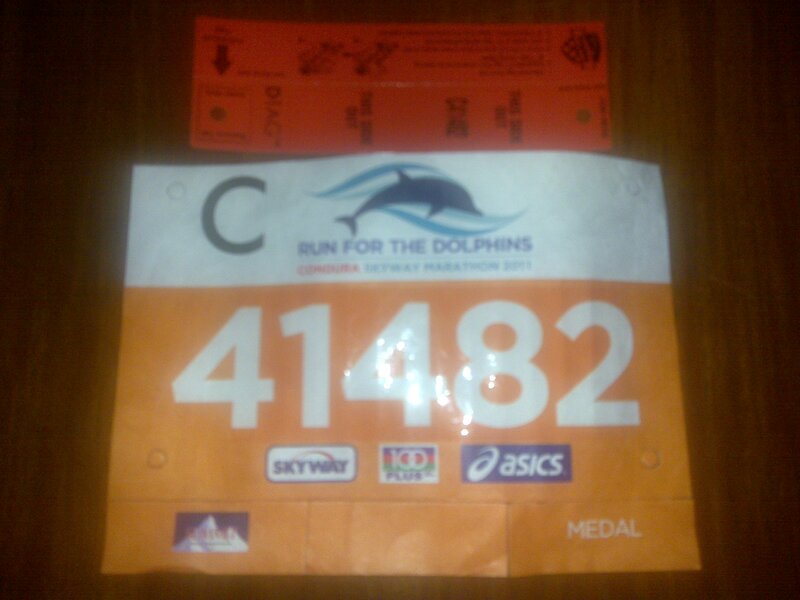 My target race was the 10k event of the 2010 Condura Run for the Dolphins. Unfortunately, I wasn’t able to run a sub-50 due to a stupid mistake (pardon the french) in the last few days of my training. I was then in the process of transforming myself from a heelstriker to a forefoot/midfoot striker. On the Thursday prior to the race, I purchased a pair of Newtons (which as most of you would know are designed for forefoot running) and ran a 5k tempo in them at the track that same night. After that tempo, my calves hurt as hell. I couldn’t even walk properly as I headed back to my car. My calves were still so painful the day before the race that I got two long massages. I don’t know if the massages had any effect, but on the day of the race, I had to limp and hobble all the way to the corral. It was no surprise that I wasn’t able to run under 50 minutes. My time was 50:53. I was more surprised that I was able to run at all. Almost a month ago, I ran my very first half-marathon at the 2010 Adidas King of the Road. It was a disaster of sorts as I walked a substantial portion of the last 4 kilometers. It was the first time I ever walked in a road race. I felt like such a disgrace. In fact, I bowed my head down (in shame) the entire time, fearing that someone I knew would see me walking. I finished the half-marathon in 1:58:34, almost 10 minutes off my target time. The 2010 KOTR was actually my anniversary race, my first ever road race being a 5k (which turned out to be 6.4k) at the 2009 edition of the KOTR. My racing philosophy is simple – I should be able to run at 5mpk or faster before I dare move on to the next race distance. This explains why my races are few and far between. I try to put in as much training as possible so that when I do join a race, 5mpk would be within reach. This also explains why I was hugely disappointed with my performance at the 2010 KOTR. In one of my earlier articles in this blog, I mentioned that I come from a running family. My dad and my two older brothers were part of the running boom in the 80’s. As a kid, I would spend my Sunday mornings at the Quezon City Memorial Circle or UP, waiting with my mom in the car for my dad and kuya to finish their weekly runs with the Runnex or Band-Aid running clubs. I tagged along for the congee or lugaw that we would always have at Ling Nam after. But while my dad and eldest brother were serious and avid runners (I have yet to break my dad’s 10k PR and my kuya runs his marathons in the 3:30 range), none of them competed at a level as high as my other kuya, whom I fondly call Brah, did. You see, Brah represented my alma mater in the UAAP and even got a letter award from the university for his efforts. My brah running for the State U in his maroon/black singlet. 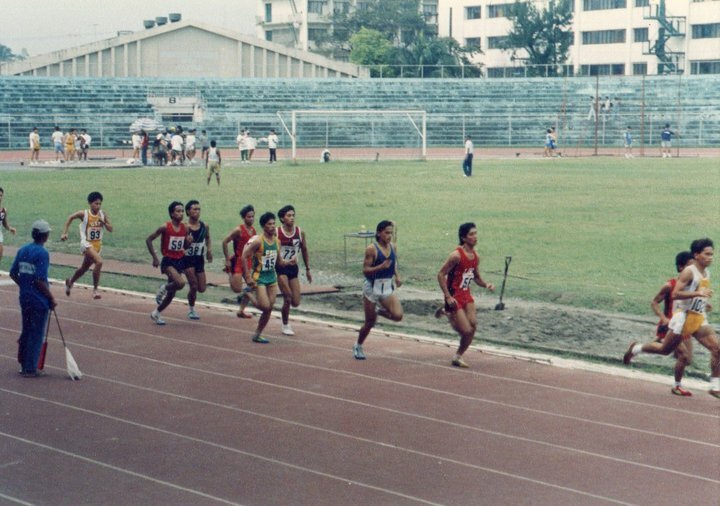 I remember this particular race, the finals of the 800m event of the UAAP 1990-1991 season. I was in 4th year highschool then and had just gotten my driver’s license. Brah, who was afraid that driving his pawis-steering Toyota Corona all the way to Rizal Memorial Stadium would sap the energy out of him, requested me to be his chauffeur for the day. Of course, I readily obliged and even offered to be the official photographer for the State U. When we arrived at the Rizal Stadium, I positioned myself at one of the bleachers behind where the UP Track Team was congregated. I wanted to get an unobstructed view of the track so I could take good photos. I should have known better. As soon as the gun went off, I was out of my seat, screaming and cheering like a madman. Brah paced himself in the first lap but on the second, he overtook one runner after another until eventually, he was only a couple of stride lengths from the lead runner. Unfortunately, Brah ran out of tartan and finished a close second; still, a podium finish. The exciting finish got me so pumped up that I was yelling expletives and cuss words that would make a sailor blush. I only realized this after race, when I felt the cold stares of the female members of the track team bearing down on me. Ooops. I slowly melted back into my seat. It then dawned on me that I failed to take a single picture. 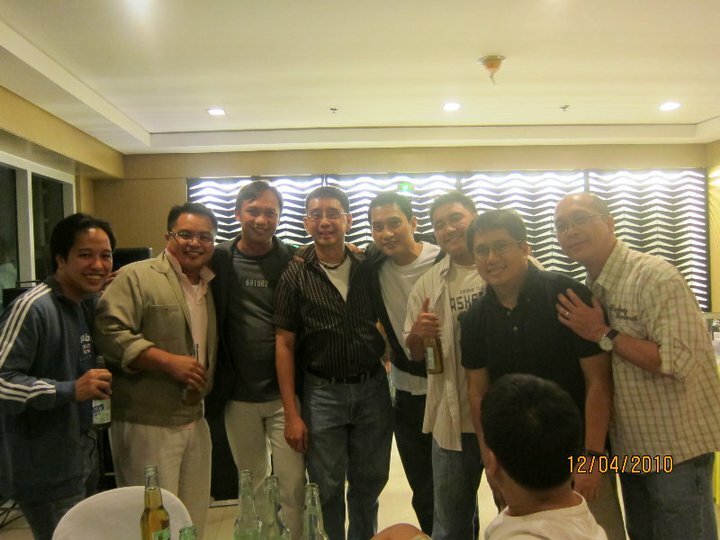 Fast-forward to 2010. Just last weekend, Brah competed at a masters track meet in Singapore and totally smoked the competition. I so wanted to take the three hour flight to SG just to watch him race but it was not to be. It’s a good thing my nephews were able to take a video of the race, complete with their cute commentaries (I shudder at the thought of having my swearing caught on video). Brah clocked in at 2:32, around 30 seconds slower than his UAAP time, but still a mean feat for someone who’s in his 40’s and who has put on at least 40 pounds since his college racing days. And, as he says, he was not pushed. Watching the video, I’d have to agree with you on that one Brah. 🙂 Good job! I was roused from my blogging hibernation by a comment left by a fellow blogger on an article I wrote on July 25. That quick visit to my site made me realize that it’s been more than two months since my last post. I was trying to analyze the reason behind my prolonged silence and this is what I arrived at – talk is cheap. 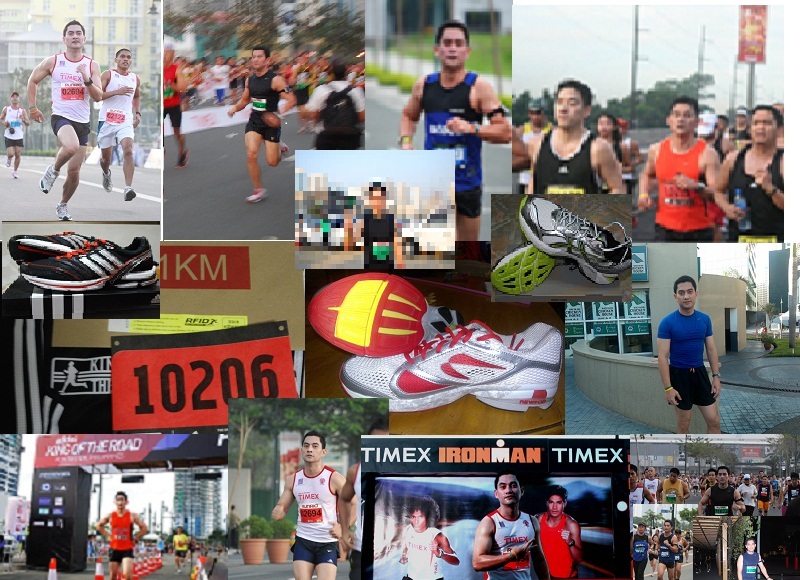 My last article was about how I celebrated running at the Takbo.ph Runfest last July 25. I remember saying there that it was indeed a fine day to celebrate running as I got a better-than-expected result and gained new running friends, among others. But after the adrenaline had worn off, the competitor in me took over and all I could think of was my disappointing time for the 10k. Yes, it was a good result considering the kind of preparation I had (or, rather the lack thereof) leading to the race, but deep inside, I was kicking myself for not being able to run even a sub-50 10k. I knew there was only one way to deal with my frustrations – get back into training. And this is what I’ve been doing for the past several weeks. I have since witnessed a significant improvement in my fitness, but I don’t want to get ahead of myself. I’ll just stick to my training plan and see how it pans out at the 2010 Adidas KOTR, which, incidentally, will mark my first year in racing. I signed up for the 21k, my first race at this distance. Rather than broadcast my preparations and target time for this race, I have decided to invoke my right to remain silent. With aplogies to Adidas, I’ll do a Nike and JUST DO IT. Hooah!